The Merger Verger is about the demands and processes of integrating two companies. In respect of the thousands of books and articles on finding deals, doing deals, valuing deals, structuring deals, even unwinding deals, I will only offer suggestions on these topics as they relate pretty directly to integration or offer good pithy discussions of the integration process. Fair? Good. 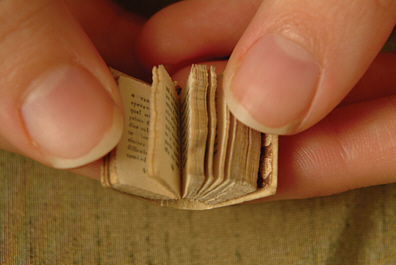 When it comes to business books I tend to favor ones that are short and to the point. If the thing has a page count exceeding about 300 or a list of academic research citations measured in the brazillions, it loses me. So my suggestions reflect that bias and if I identify a book as a tome you can be sure it is guilty. I will add to this page from time to time as I discover new resources so check back every now and again. Be sure to add comments so that other people have your take on the pieces as well as mine. And by all means, make suggestions of works that you have found helpful. A very good starting place is Paul Siegenthaler’s Perfect M&As, Ecademy Press (2009). It is pleasantly short but packed full of useful bits, taking the reader from strategic intent through deal closing and step-by-step to integration wrap-up. There are sections on facts and numbers but also plenty on the essential softer issues of culture, leadership and communication. Start here. Feldman, Mark L., and Michael F. Spratt. Five Frogs on a Log – A CEO’s Guide to Accelerating the Transition in Mergers, Acquisitions, and Gut Wrenching Change, Harper Business (1999). This book, written by two guys from PricewaterhouseCoopers has stood the test of time. It contains good information in a brief, easily digestible form. It too should be one of your starting places. Bonus: it’s under 200 pages. Galpin, Timothy J., and Mark Herndon.The Complete Guide to Mergers and Acquisitions: Process Tools to Support M&A Integration at Every Level, Jossey-Bass, 2nd edition (2007). I particularly like the way Galpin and Herndon address the varied aims of due diligence. Schweiger, David. M&A Integration: A Framework for Executives and Managers, McGraw-Hill (2010). A good case study from the technology sector is “Managing the Strategic Dynamics of Acquistion Integration: Lessons from HP and Compaq,” HBR, May 2006. Lots of broad M&A books have useful chapters on integration. Reading about integration in the context of the entire acquisitions process can help the Integration Manager understand better where he or she fits in and why. The tome of all tomes on the subject is Reed & Lajoux. What can you say? It’s in its fourth edition now so it has proven its value over the years yet stays current. Reed, Stanley Foster and Alexandra Reed Lajoux. The Art of M&A – A Merger Acquisition Buyout Handbook, McGraw-Hill (2010). 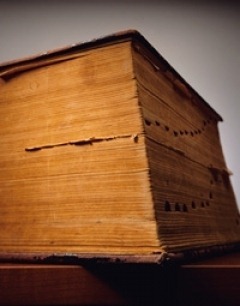 One THOUSAND pages! Great work to start the discussion forum and especially the effort to collect valuable data and reading. I share your views; so much money is put into M&A’s and many peoples lives are impacted. And what are the results. We are also working on a SharePoint based Saas solution for M&A management. You can find the first info on http://www.midaxo.com. The real product will be availble within weeks. As you see, our approach is slightly different. Driven from the above book concept.